The Turkish football Super League kicked off after a two-week break brought about by the local election and the Fifa international calendar. 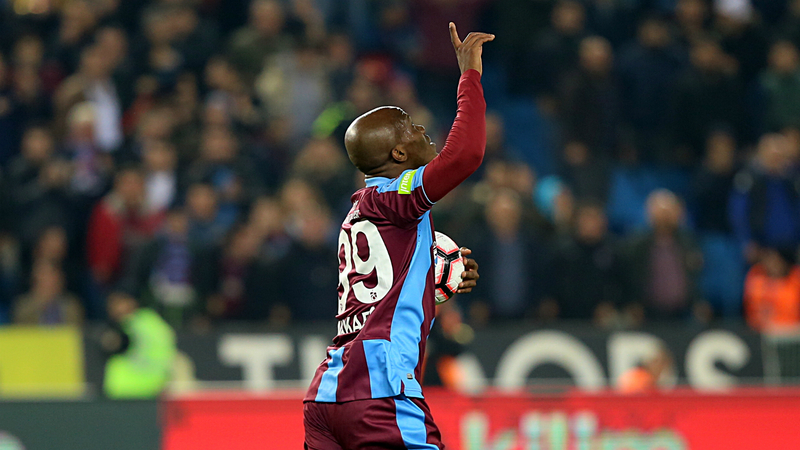 The league’s week 27 resumed with Trabzonspor’s 4-1 win over Antalyaspor on Friday night. The runner-up Galatasaray takes on Evkur Yeni Malatyaspor on Saturday and the leader Medipol Başakşehir face Atiker Konyaspor on Sunday. With only seven weeks left in the 2018-2019 season, Super League outfits will race for the league cup, compete to join European cups and try to remain in the Super League as seven teams faced the axe to the second leauge. Başakşehir sits comfortably atop the Super league table with 58 points but runner-up Galatasaray are close on its tail with a six point difference. Galatasaray who drew Yeni Malatyaspor 0-0 on Tuesday in the first leg of the Turkish Cup football semi-finals earlier this week, will host fifth-placed rivals today for a chance to increase their points. The Lions boast a record of 15 wins and only four defeats in the Süper League this season, along with seven draws. Leaders Basaksehir’s host Konyaspor tomorrow in a crucial game for the orange-navy blue team in which they have to increase their points. Basaksehir will play Beşiktaş, the third-placed Black Eagles on week 28. Runners-up Galatasaray with 52 points is aiming to get three points from today’s game against Malatyaspor before the Fenerbahce derby. Despite its veteran coach Fatih Terim’s tireless effort for success, the team faces some management challenges related to the incumbent chair Mustafa Cengiz. The lion’s Congolese defender Christian Luyindama will not play as he was red carded in a recent Turkish Cup game and Brazilian international Marcao is banned for two games due to his previous yellow cards and he will likely be absent. Nigerian star Henry Onyekuru will also miss the game due to his previous bookings. Turkey’s famous team Fenerbahce, thirteen-placed in the league, hovers near the drop zone. They will face MKE Ankaragücü on Sunday.